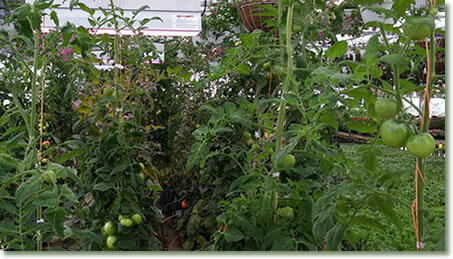 Fruiting plants, such as tomatoes, peppers and cucumbers, can often make use of some the highest light intensities with yield increases nearly equal to light intensity increases in many cases. 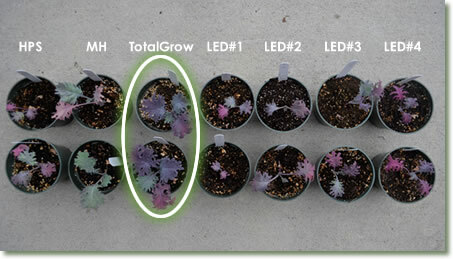 Large plant sizes make light distribution more critical in favor of diffuse light sources like TotalGrow lights. Especially for northern climates, light intensities up to 200 µmol*m-2*s-1 for 18 hours per day can be worth providing for fruiting crops like tomatoes. 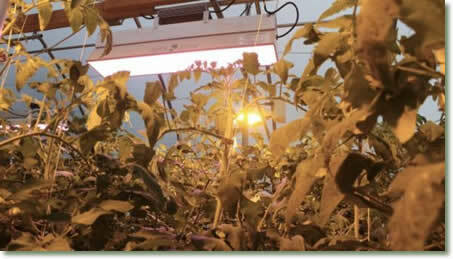 This can be provided either purely by TG33B High Intensity Top-Lights, possibly complemented by TG1A light bulbs for interlighting, or in combination with high pressure sodium light fixtures to balance the upfront cost savings of HPS with the long term savings and higher quality spectrum of TotalGrow lights. For large plants, the blend of these light spectra becomes a practical option. Contact us for more information and recommendations specific to your application. Our TotalGrow™ light fixtures have made it possible for us to grow larger, healthier tomatoes in significantly less time. 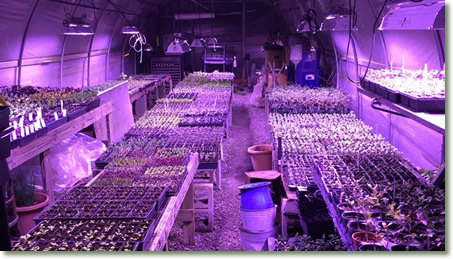 We have installed TotalGrow light fixtures for both indoor and greenhouse grow areas with tremendous crop quality, growth rate and power saving results. In our tomato house, the TotalGrow lights are balancing out HPS light fixtures to create a better light spectrum and distribution pattern with reduce power needs. 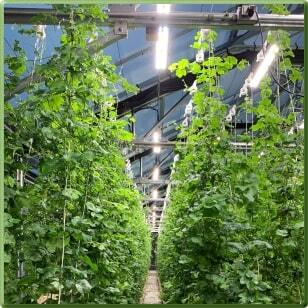 In our barn, their full spectrum and efficiency allow us to grow excellent leafy greens year-round.